Our deepest thank you to our guests and partners across the Jewish and general community who joined us at the Cleveland Botanical Garden for an Interfaith Tu B'Shevat Seder, celebrating the new year for the trees. We came together on this day as one community to Celebrate a Shared Earth because it's not just one of us, but all of us, who must care for each other. 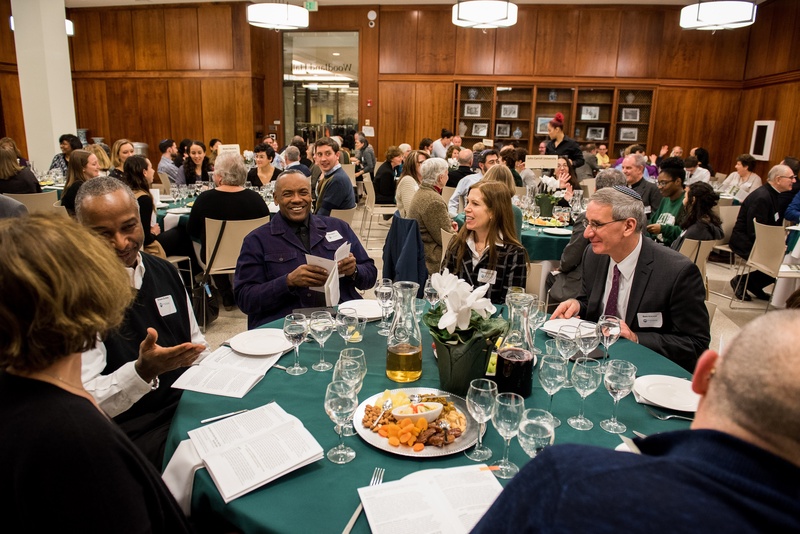 Together, we integrated all of our traditions into the Seder, singing songs in Hebrew and English, and reading passages from the Torah, Koran, and Bible. We concluded with a special meal, feasting on the fruits of the land and connecting with friends old and new. For more information on the Federation’s Community Relations Committee, contact Debbie Klein at dklein@jcfcleve.org or 216-593-2834.